Janice joined Conservation Volunteers International Program in January 2014. Janice is a packaging engineer in the New York metro area, specializing in cosmetic packaging development and sales. Janice loves to travel and has participated in numerous domestic and international volunteer programs over the years. She has participated in ConservationVIP® volunteer trips to Machu Picchu, Torres del Paine, Yosemite and the Galapagos Islands and looks forward to experiencing the new additions to the list! She lives by the motto “leave things better than how you found them”, so she is a natural fit for the ConservationVIP® team. Janice resides in Hoboken, New Jersey but prefers being in quieter outdoor spaces hiking, biking, boating and more recently paddle boarding. She is also an avid baker and loves to travel. Chris joined the Board of Conservation Volunteers International Program in 2009, serving as Director and Chief Financial Officer, before taking on the responsibilities of CEO in 2011. She has a B.A. in Economics and an MBA in finance from the University of California at Berkeley. She started her career at Bank of America, working in a variety of international lending, corporate lending, treasury management and project financing functions. She later worked as Chief Financial Officer at Guy F. Atkinson Company of California, an international construction and manufacturing company, as well as at DNA Plant Technology, a biotechnology company. Chris has had a life-long dedication to volunteering. Prior to her involvement with ConservationVIP®, she volunteered as Chief Financial Officer at Bay Area Model Mugging, a nonprofit providing self-defense training to women and children, and she volunteered for ten years as a Court Appointed Special Advocate with CASA of Contra Costa County. She has participated in our trips to Torres del Paine, Machu Picchu and the Galapagos Islands. 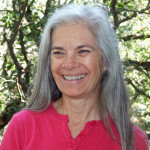 Chris lives in Briones, California and spends as much of her free time as possible hiking in the mountains with her husband. Carol retired after 32 years with the National Park Service where she had the honor of being the Superintendent of Jean Lafitte National Park and Preserve, New Orleans Jazz National Historical Park, Canaveral National Seashore, Big Cypress National Preserve, where she served as the Deputy Superintendent as well as acting Superintendent at De Soto National Memorial. 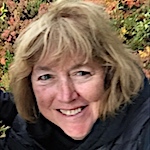 Before those assignments, she was an Administrative Officer at Gulf Islands National Seashore, Cumberland Gap National Historical Park and Wrangell St. Elias National Park and Preserve. Other assignments included positions at Chiricahua National Monument, the C&O Canal National Historical Park and the National Mall and Memorial Parks as an Interpreter, where she later had the opportunity of acting as the Deputy Superintendent. Carol also has experience working on All Risk Management and Incident Command positions in fire, hurricanes and special events. She holds a Bachelor of Science degree from The Evergreen State College, Olympia WA and attended the Harvard Kennedy School of Government as a Senior Executive Fellow. Carol volunteers with the American Red Cross, Michigan State DNR invasive plant removal program, Macomb Literacy Partners tutoring Reading and English as a Second Language and Organization for Bat Conservation in Michigan. Carol has served as ConservationVIP® Trip Leader to the Galapagos Islands. She and her husband enjoy traveling, hiking, birding, and exploring the natural and cultural histories of wherever their adventures take them. Ed joined the Board in January 2014. He is ConservationVIP’s Chief Operating Officer, and the Program Manager for ConservationVIP’s volunteer trips to Yosemite National Park and Virgin Islands National Park. After a thirteen-year career in the legal industry, he is currently focused on two of his passions – raising his daughter and volunteerism. Ed’s deep connection to natural places and the coast in particular led him to a decade of active volunteer leadership roles with the Washington, D.C. and Massachusetts chapters of the Surfrider Foundation. Ed is an avid outdoors-man, whether he is volunteering on trail projects, chest deep in a trout stream, surfing year-round, cooking paella over a campfire, or hiking up a mountain with his daughter on his back. 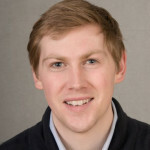 Mark joined the team in December 2013. He has a Bachelor’s degree in Public Administration from LaSalle University. He worked for the National Park Service (NPS) for over 41 years, retiring as Superintendent of the Virgin Islands National Parks in late 2012. During his career he worked at all levels within the NPS, starting off in historic preservation and maintenance. He also served in management positions, transferring and working at 13 National Parks including two World Heritage Sites and one International Biosphere Reserve (UNESCO). Mark is well known for opening new NPS units and managing nationally significant special events through partnerships and working with the local communities. He currently is a member of ICOFORT (International Committee on Fortifications and Military Heritage), serving as a technical expert for ICOMOS. 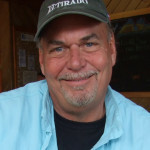 Mark also is a member of the St. Thomas Historical Trust, a member of the Friends of Virgin Islands National Park, along with being an active member in the US Coast Guard Auxiliary Flotilla both in St. John, Virgin Islands and in Fajardo, Puerto Rico. Mark lives with his wife in Carolina, Puerto Rico and enjoys traveling, motorcycles, hiking, boating, snorkeling, diving and maintaining their finca. 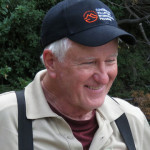 John was one of the founders of Conservation Volunteers International Program in 2007. He has served as trip leader on numerous ConservationVIP® volunteer projects in Torres del Paine National Park in Chile, Machu Picchu in Peru, and the Galapagos Islands. John has been involved in parks and conservation issues throughout his life. During high school he worked as a seasonal park aide for the California State Parks in southern California. 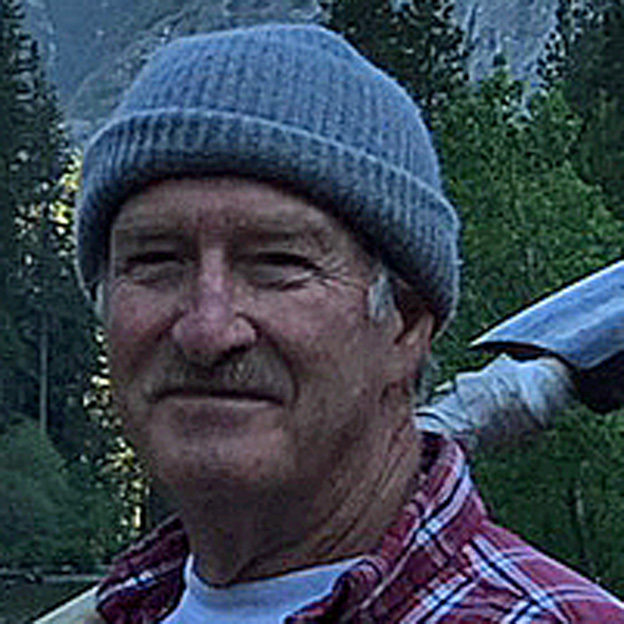 In 1976 he was hired as a seasonal Ranger Naturalist in Yosemite National Park and worked there until 1981, when he opened a law practice in Sonora, California near Yosemite. John practiced law in California for thirty years. He graduated from Loyola Law School in Los Angeles in 1980, and received a B.A. in Political Science from Loyola Marymount University in 1977. John provided legal services to numerous nonprofit organizations in California while practicing law. He also has extensive experience in the area of travel law and travel agency operations. John now serves as an organic food and farm inspector in the Pacific Northwest and resides in Oregon with his wife, Catherine, and daughter Julianne. Barbara joined the Board of Conservation Volunteers International Program in January 2014. She holds a Bachelor of Science degree in physical geography from Portland State University. Barbara worked 34 years with the USDA Forest Service in a variety of positions before “graduating” in 2009. Her positions included fire management programs, grants and agreements, disaster assistance, marketing communications, interpretive services, international assistance to African countries, district ranger, and forest leadership team membership. 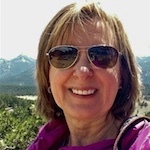 Barbara lives in Central Oregon high desert, and is a working artist exploring landscape painting, print-making and mixed media. 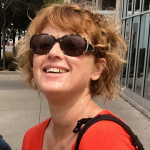 She and her husband enjoy adventure travel, hiking and backpacking. Rebecca is a project manager for Willamette Partnership’s Resilient Habitat Program, an environmental non-profit in Portland, OR. In this role, she focuses on moving key strategic projects forward and helps build the business case for environmental conservation and protection. Rebecca spent the past 17 years in the environmental non-profit sector developing and managing innovative sources of funding to restore, conserve, and protect endangered species and their habitats throughout the United States and internationally. She is a member of the California Bar and holds a Masters of Business Administration and a Bachelor of Science in Marine Biology. Kelly first volunteered with ConservationVIP® as a contributor to marketing projects in 2015. After enjoying 30 years as a specialty retail executive with Nordstrom, Kelly runs her own niche consulting firm that fuels her passions for serving others, the outdoors, travel, and being a conduit for cause and commerce. With an appreciation for life in the outdoors, she enjoys spending quiet time bathing in nature, hiking, kayaking, zip lining and obstacle courses. Some of her favorite landscapes include Yosemite, Arthur’s Pass National Park, Volcanoes National Park, and in her own back yard in Washington, Mt. Baker-Snoqualmie National Forest, and Mt. Rainier National Park. She believes that people grow by being exposed to and engaged with new things and, when they become transformed, they appreciate, and then reciprocate, which is why she believes in and is dedicated to the mission and values of ConservationVIP®! Patrick joined the Board in October 2014. He has a Bachelor’s of Science degree and a Masters in Professional Accountancy degree from Illinois State University. He began his career in Chicago with PricewaterhouseCoopers (PwC) in their core assurance practice. There he audited financial statements for Fortune 500 companies domestically and internationally. Since leaving PwC, he has held financial reporting roles at Nordstrom and, most recently, Amazon. He holds an active CPA license in Illinois. Patrick now resides in Seattle with his wife, Shalisa. Together they enjoy traveling and spending time outdoors. Garry joined the Board in April of 2018. He has B.S. and M.S. degrees in Forestry from the University of Montana in Missoula. He completed 36 years of Federal Service in 2014 and feels lucky to have had the opportunity to work for both of the premier land management agencies: USDA Forest Service and DOI National Park Service. In 30 years with the Forest Service, he started as a Wilderness Guard and finished as a District Ranger, working at five National Forests, two Regional Offices, and the National Headquarters. His final 6 years of federal service were with DOI National Park Service as a Division Chief for Wilderness at the National Headquarters office. He provided leadership and guidance for all NP Wilderness (designated & proposed) comprising 83 percent of the land in the national park system. Garry brings a wealth of experiences and contacts to our organization. He looks forward to connecting volunteers with priority stewardship projects in protected areas around the planet. He currently lives and plays in the eastern Sierra region of California. David retired in July of 2015 after spending 40 fabulous years with the USDA Forest Service in a variety of positions throughout the country. He has extensive experience with youth and volunteer organizations, and leadership positions serving our public. David’s last position was as the Director of Fire, Fuels and Aviation for Alaska, Washington and Oregon. He lives in Bend, Oregon with his wife, Bev, and they enjoy the lifestyle of outdoor recreation activities that this special place offers. David has participated on trips to Yosemite and Torres de Paine National Park in Chile. Love of family and friends makes each and every day special. 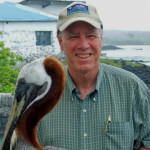 Gene is a founding board member of Conservation Volunteers International Program. He spent 44 years with the U.S. Forest Service, working at all levels of the organization. Notably he was a District Ranger on the Mt. Hood National Forest and retired as Forest Supervisor on the San Bernardino National Forest, probably the most complex Forest in the National Forest System. Gene spent four years as Legislative Staff for the Washington Office of the Forest Service, with responsibility for all recreation-related issues, including National Recreation Areas, Wild and Scenic Rivers, and National Recreation Trails. Gene wrote and advocated for over 50 pieces of legislation that became law. Gene had a national reputation for his work developing partnerships, volunteer programs, and youth employment programs. While a Ranger in the Columbia River Gorge, Gene’s volunteer program averaged 100 people per day, three times the paid staff. Gene also started the Southern California Mountain Foundation, a non-profit chartered to support the San Bernardino National Forest. The Foundation is considered the model non-profit in the Forest Service. In 2003, Gene was awarded the Department of Agriculture’s Superior Service Award, the second highest award in the Department. He has also been awarded the Legend Award by the American Recreation Coalition. After retiring from the United States Air Force as a musician (guitar) and completing graduate studies in philosophy, Paul worked more than 15 years in the IT industry, taught philosophy and religious studies, and has developed and conducted multiple leadership seminars. Paul and his wife have lived in Colorado, Arizona, and currently live in North Carolina where they are hikers, campers, backpackers, kayakers, and sprint triathletes. Since Paul’s first trip to Yosemite in 2009 with ConservationVIP®, he has been dedicated to and enthusiastic about its mission and values and has served as trip leader for Yosemite, Torres del Paine, Scottish Highlands, and Costa Rica. Paul enjoys spending time with his three grandsons, traveling, listening to jazz, reading, researching, writing, and teaching. Bill joined the trip leader team at ConservationVIP® after volunteering as a trip participant on our Torres del Paine, Patagonia trip in March 2014. He holds a PhD from Duke University and is a professor of English at the University of North Carolina Wilmington. Bill currently serves as co-chair of the National Collegiate Honors Council’s Partners in the Parks Committee, a cooperative venture with the National Park Service to lead college students in week-long learning and service projects in the national parks. 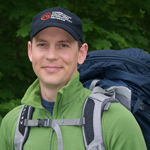 Committed to experiential learning, he has led students on many outdoor explorations, including walking the 500-mile Camino de Santiago in Spain (2012) and the Inca Trail in Peru (2014). A native of Florida, Bill grew up camping in the subtropical swamps and southern highland mountains of the Southeast. He is a life-long surfer, skier, stand-up paddler, cyclist, hiker, and inveterate traveler. As a teenager, Richard went on a volunteer trip, where he first became passionate about service/volunteer trips. Since then he has been involved with many volunteer service trips. When he is not leading trips, he plays a lot of baseball and is still waiting for his long-awaited major league call-up. Marti spent 35 years with the U.S. Forest Service, completing her career in Alaska as the district ranger for Admiralty Island National Monument and lastly, Juneau Ranger District. 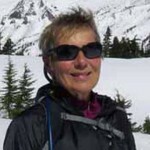 She has 25 years of experience living and playing in Alaska and is passionate about sharing her knowledge. 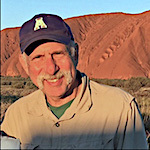 Bill first volunteered with Conservation Volunteers International Program in 2012. His special interest is leading trips to help Machu Picchu. He is currently Forest Archaeologist for the USDA Forest Service in the Lincoln National Forest in New Mexico. 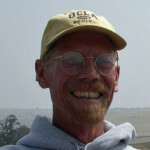 Bill has a PhD in Anthropology from the University of California, Los Angeles. He has done extensive field work and led a number of research projects in Peru, where he holds a Peruvian Archaeological License. He has taught at California State University and at the Cotsen Institute of Archaeology at UCLA. Prior to his work in Archaeology, he worked at Sonnenblick-Goldman Corp, Smith Barney Real Estate Corporation, Dillingham Development Corporation, Comerica Mortgage Corporation, and Grubb and Ellis Financial Services. Dale has been traveling since he was 20. He first volunteered with ConservationVIP in Yosemite in May 2012 and has returned again and again. He enjoys many outdoor and sports activities and the arts. He lives in the small mountain town of Mount Shasta, CA. with his wife Carolyn and Lab Abbie. He Loves All and Enjoys Life. Read more about Dale on our blog.